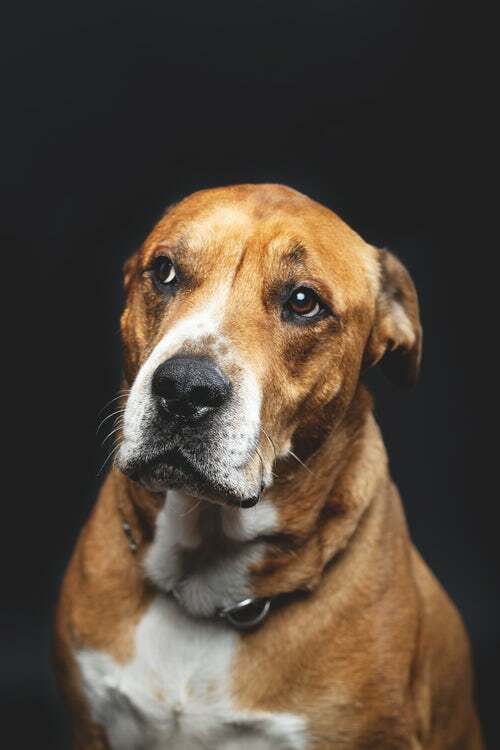 Diabetes in dogs, like in humans, results from the glucose-insulin connection malfunctioning because of an insulin complication. This can either be an insulin deficiency in your dog's body (known in humans as Type 1 diabetes) or that the body isn't using its insulin effectively as a result of insulin resistance (or Type 2 diabetes). Type 1 diabetes is caused when the pancreas cannot produce insulin in the way it should, prohibiting glucose from getting into the cells of the body to be converted into energy. Type 2 is induced by your dog's diet. While there is good insulin production in their body, they will become insulin-resistant because they consume too much sugar. Though we commonly associate obesity and diet as being causes of diabetes, there are many other risk factors that can raise your pup's risk of developing diabetes. These include breed or genetics, age, auto-immunity, GMOs, gender, toxins, an inflamed pancreas, vaccinations, metabolic syndrome, and the long-term use of steroid drugs. So while your dog's diet is certainly something you need to keep a careful watch over to reduce their likelihood of developing diabetes it certainly isn't the only possible cause. Frequent Urination - Also known as polyuria, frequent urination is an early warning sign of diabetes in both humans and dogs. The excess glucose that builds up in your pup's blood ends up being too much for their kidneys to handle, so that excess sugar has to be released into their urine along with other fluids from their tissues. If you notice your pet's urine production has gone up throughout the day or that they are having accidents inside the house suddenly, this could be an indication of diabetes. Increased Thirst - Another classic symptom, increased thirst (known as polydipsia) comes hand-in-hand with frequent urination. The more your dog urinates the more dehydrated they will become. This dehydration also comes from the kidneys not being able to keep up with the backed up glucose in their blood. Increased Appetite - If your pup suddenly seems to be constantly starving don't immediately blame it on the amount or type of food they eat. Dogs with diabetes are extra hungry because the amino acids/glucose that their body needs aren't there or aren't being used properly. Sudden Weight Loss - Though your dog may be hungrier and eating more than normal, noticing that they are also experiencing a sudden weight loss is a prevalent symptom of diabetes because of an increased metabolism and/or their body's inability to get energy from the food they eat. Vomiting - If your dog's diabetes has progressed to the point of ketoacidosis before being diagnosed, vomiting is a common side effect. Weakness and/or Fatigue - An unusual lethargy and lack of energy in a customarily upbeat dog could be a sign that your dog's cells are being deprived of blood sugar. Urinary Tract Infection - Urinary tract infections are common for dogs with diabetes. This is because there is more sugar than there should be in the urine, allowing for a greater chance of bacterial growth in your pet's bladder. If you begin to notice some of these symptoms in your dog, contact your vet so they can be tested for diabetes before their condition worsens. The most important thing to remember if your dog has been diagnosed with diabetes is that they can absolutely lead a long, happy and healthy life with proper treatment. Start by modifying their diet, eliminating processed foods that are high in sugar and starch in favor of foods that have high fiber, protein, low calories, and protein. Also, make sure they drink plenty of water. Regular exercise can make a big difference too, helping your pup lose excess weight and lower their blood sugar levels. A healthy diet combined with a daily exercise regime will help control their diabetes and could possibly minimize the need for insulin. Caring for a dog with diabetes is a daunting task at first, but you'll soon find that it's a manageable condition for them to live with. The changes will become part of yours and your dog's daily life. With some special attention and hard work, your pup will lead a happy and nearly normal life. Do you have any questions or concerns? Contact Dog Training Elite today for professional dog training services and diabetes tips for your pup, we're happy to help!